Choosing the right ski school is crucial to a successful and enjoyable holiday. We recommend several ski schools in Meribel, all of which provide a high level of service and tuition. Whether you are searching for children’s ski school, lessons for a nervous beginner or want to explore the best off-piste by an experienced guide we have something to suit your needs. New Generation is a small British run ski and snowboard school with small dedicated teams in Val Thorens and Saint Martin de Belleville. 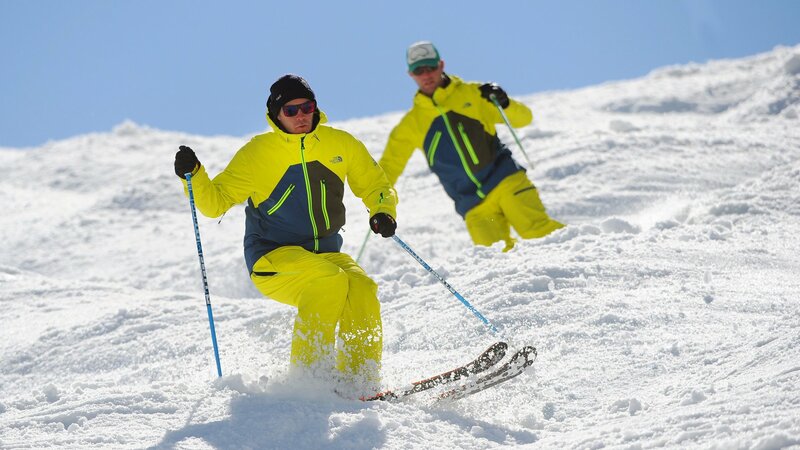 The New Generation team consists of highly qualified English speaking instructors who are passionate about their work and are great fun to ski with. Many of the instructors are also Trainers for BASI (British Association of Snowsport Instructors) and other National systems. The school offers an excellent range of lessons for skiers and boarders from morning groups (beginner to intermediate) to Technical Clinics (intermediate to advanced) to private lessons. 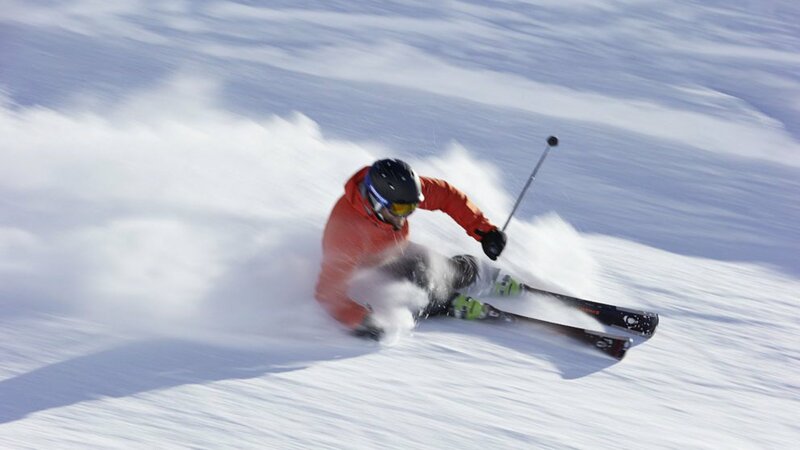 If you are an experienced skier looking for something different then sign up to one of the PRO range programmes which cover everything from off-piste adventures to cruising the blues to video feedback assisted learning. 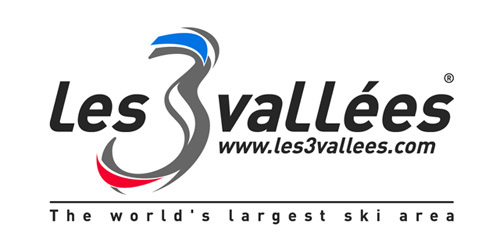 If you fancy a one off session to work on a specific skill (bumps, park, off-piste, ice etc.) then join a SkillSession (Only 55 Euros). For the last 17 years New Gen have helped thousands of children grow into competent skiers who love skiing, they know how important the first experience on snow is, and how a well-timed hot chocolate can bring a smile every time. The instructors love to ski and snowboard, they also love to teach! At New Generation you'll only find coaches who get real satisfaction from helping you improve and have fun. All of our clients are entitled to a 10% DISCOUNT on any ski lesson, ski instructor, ski clinic or course from New Generation Ski School. The Discount code can be found in the information section when you log into 'Manage My Booking'. Please quote our promo code when making your booking, the discount is only valid at time of booking. The discount code can not be used in conjunction with any other offers or discounts. Last year Oxygène Ski & Snowboard School grew and strengthened their offering across the French Alps by bringing Magic (in Motion) into their family. Now based in 8 resorts across the Tarantaise Oxygène is one of France's longest standing and most popular ski schools. The name may have changed but their ethos remains the same. They offer a dedicated and motivated team eager to bring you not only fun and excitement on the mountain, but also a thorough and professional learning experience. From timid beginners to powder hounds, personal tuition or in a small group they aim to surpass your expectations. They are chosen for their teaching, motivational and communication skills rather than just their skiing ability (which goes without saying). Oxygène offer the friendliness of a small team with the flexibility of a much larger one. We recommend Oxygène, especially for children and beginners. The Little Ones start in 'The Magic Garden' (a safely enclosed area with special equipment) and progress into the 'Altiport' ski area. Their friendly and experienced instructors provide the best learning environment for your little ones. Choose between mornings, full days or afternoons. Exciting lessons for competent skiers in this age range looking to venture into freestyle, race technique and more. All levels from complete beginner to advanced intermediate. Groups are kept to 8 people per instructor to ensure you get great quality individual learning time within your group. On a private basis they can offer pretty much whatever you are looking for... skiing and snowboarding of course but also telemarking, snowshoeing, off-piste and cross country. They organise heli-skiing trips as well as other mountain based activities such as paragliding too. Oxygène are well-known for their snowboard instruction. They run 3 hour morning lessons for 4 different levels of snowboarder - learn to ride, intermediate, confirmed and expert. As the only officially recognised, dedicated snowboard school in the 3 Valleys, Cab9 has built a great reputation over the last 10 years as the people to go to for snowboard lessons. Their team are all highly experienced snowboarders, who live and breathe the sport. In contrast to much of the snowboard instruction available in France, the instructors are dedicated snowboarders, rather than ski instructors who teach snowboarding. They offer lessons for all abilities, from complete beginners to expert riders. They are able to teach to a very high standard and are qualified to guide their clients off-piste, whilst also being trained to teach freestyle in the park and pipe. Cab9 are offering 10% DISCOUNT to Chalets and Apartments Rentals Customers, just let them know when you are booking! 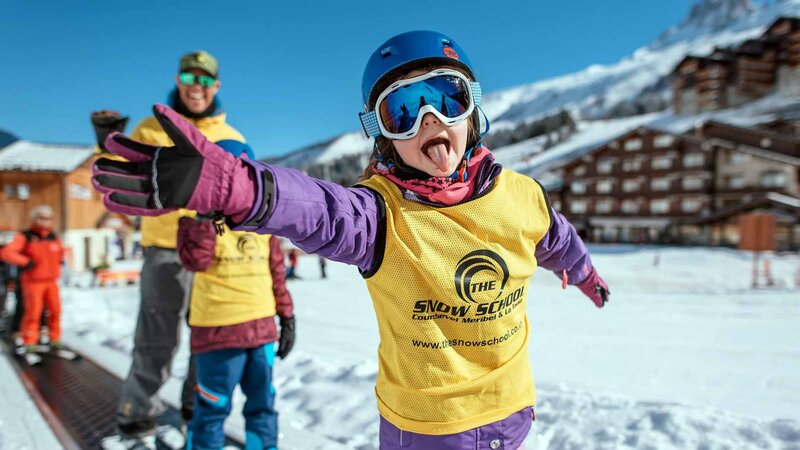 The Snow School specialises in skiing and snowboarding lessons in the Three Valleys, covering; Meribel, Mottaret, Courchevel, La Tania, Les Menuires and Saint Martin. Their fully-qualified instructors are friendly and experienced in dealing with children and adults alike. Their lessons are both progressive and enjoyable, ensuring you'll not only further develop your skills but have fun too. Offering: Small groups, private lessons, friends & family lessons & snowboarding.